Although we find Ductless Heating and Air Conditioning systems to be, well, beautiful, we know that there are still some objections out there that may just be based on some incorrect information. Mostly, people bring up the appearance, noise and size of a Ductless Heat Pump as barriers to considering these amazingly efficient systems. And let's face it, for most of us, the thought of purchasing a heating and air conditioning system can be about as exciting as buying a new vacuum cleaner or lawn mower. An image of a great big, noisy traditional furnace hidden away in a closet, garage or basement; or a huge outdoor unit planted next to your front door entry for all the world to see (and hear) comes to mind. 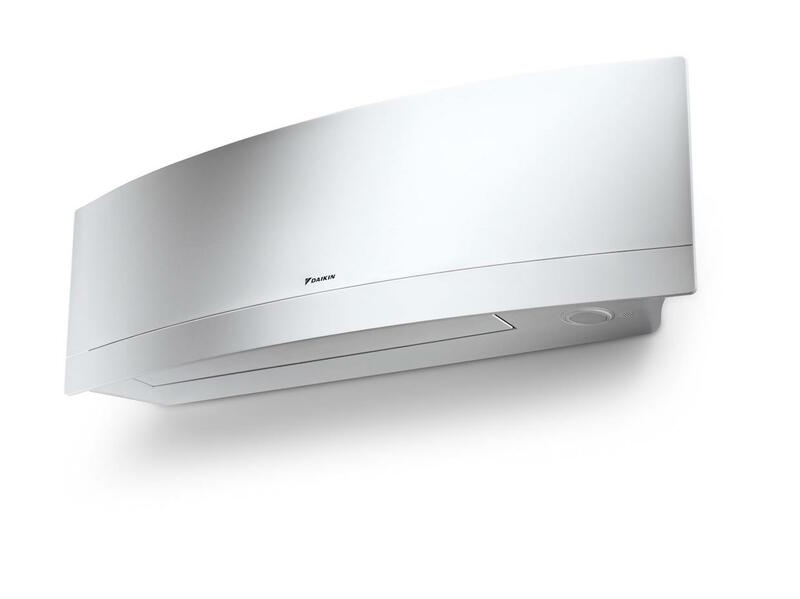 But a ductless system, with its quiet operation, cool technology and energy-efficiency features is a work of art! The indoor air exchanger unit will detract from the aesthetic of our home's interior. The indoor air exchanger (or indoor unit) is mounted high up on the wall, towards the ceiling. The brain seeks out a visual space that is at eye-level...that's why artwork is mounted in that zone. The indoor unit is well above eye-level. Consider that many homes have ducted vents in walls and ceilings, yet folks never really notice them, and the same goes with radiators or baseboard heaters. A similar thing happens with the air exchanger on a Ductless Heat Pump. It just becomes part of the wall and after the initial 'getting to know your ductless unit' period is over, people stop noticing them. Especially since they're so quiet. You barely know that they're running! The outdoor compressor is will be too conspicuous! Not true. With a ductless system, the outdoor unit is relatively small and can easily be placed under a deck, behind a fence in the backyard, or hidden behind plantings spaced properly to allow ventilation. They do not need to be placed in a conspicuous place like a front yard or patio and can easily be tucked up next to the house due to their small size. It can be easy to forget you even have one if placed in the proper area! Aren't Ductless Heat Pumps noisy? Sometimes folks think that because they operate by exchanging air, Ductless Heat Pumps must be noisy, just like your neighbor's traditional heat pump that reminds you a little of a jet engine. A Ductless System is whisper quiet both inside and out. In fact, we have many customers tell us they cannot even tell that their system is on unless they go right up next to the air exchanger or outdoor compressor and feel the air blowing. Isn't a Ductless Heat Pump huge? Styles and sizes vary by model and manufacturer, but a typical indoor head is around 12″ tall, 34″ wide and 7″ deep. Consider that radiators typically run much bigger than that and take up valuable floor space. The same can be said for baseboards and wall heaters that limit furniture placement, not to mention furnaces that need entire closets or small rooms to contain them. 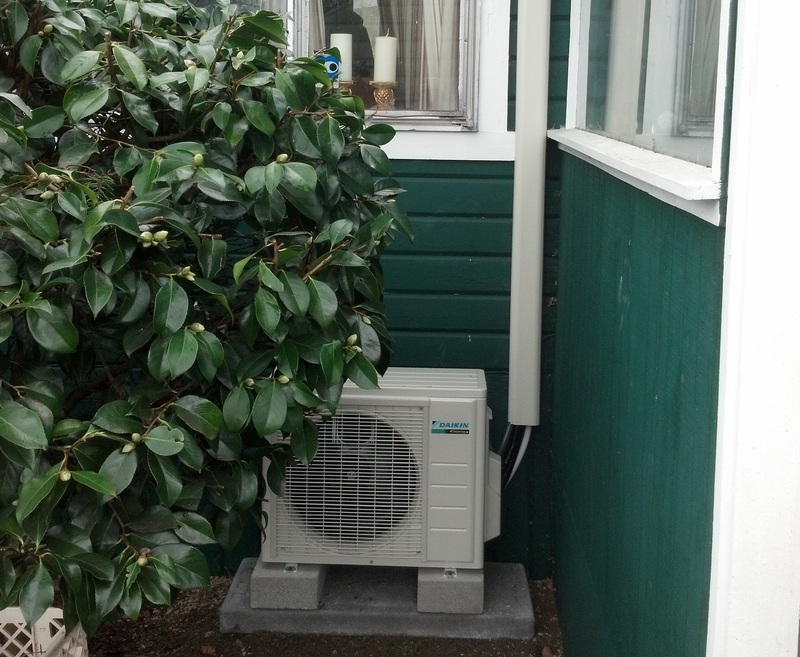 A Ductless Heat Pump wall-mounted unit only requires a wall, no ductwork, closets, basements or garages. The outdoor component is around 24″ tall, 31″ wide and 11″ deep. That's about the size of a large suitcase. Traditional heat pumps and air conditioning compressors can be three times that size or more. At Alpine Ductless, we think Ductless Heat Pumps are pretty cool-looking, dare we say even beautiful in a modern, streamlined sort of way. We admire their amazing technology and incredible energy efficiency. After installing ductless heat pumps in our own homes, we would never consider using traditional heating systems again. The customers who have decided to go with ductless are now enjoying energy-efficient, comfortable heating and air conditioning for a fraction of the operating cost of a traditional system.